On Thursday, 9 February 2017, R2K Western Cape in conjunction with SAFCEI, the Green Anglicans, Earthlife Africa, One Million Climate Jobs Campaign and Catholic Justice and Peace will be occupying bridges along the main arterial routes into Cape Town from 7:30AM – 9AM. They are picketing against the R1 Trillion Nuclear Deal that the government is said to have signed with Russia. 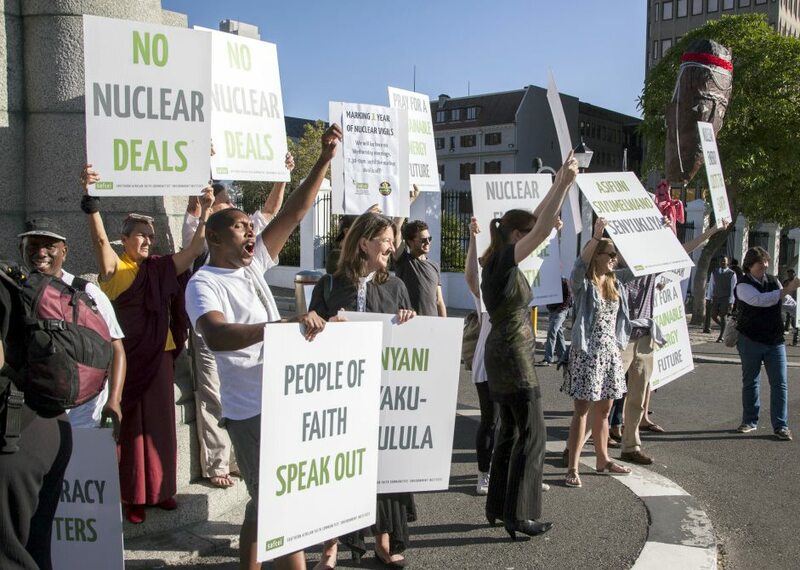 The nuclear deal which has been shrouded in secrecy from the very start will cost the country dearly. As citizens, they are concerned about the legitimacy of the procurement process since most decisions have been made behind closed doors. How do we move forward as a nation when big decisions are taken and implemented without following transparent and accountable processes? Oliver Reginald Tambo was a man of integrity, a man who always puts people first; how do we honour such greatness by signing deals that will accelerate poverty levels? 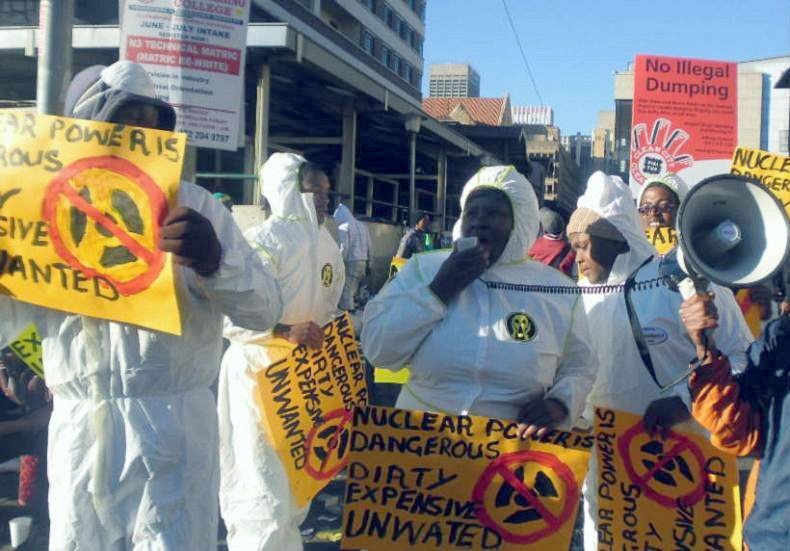 Can South Africa afford R1 trillion for nuclear when there is such a need for further investment on basic social and economic needs and services? Why nuclear energy when South Africa has readily available and cheaper renewable energy options? Why is the government so intent on buying nuclear energy when most countries are opting for renewable energy? Who stands to benefit from the nuclear deal? Why has government been so secretive about the nuclear procurement process: what are they hiding? There will also be a protest at Cape Town station to alert rail and taxi commuters. In a country that is finding it difficult to cover the costs of basic education and health – a nuclear build will cripple our economy and keep us in debt for decades. Let’s call for an end to this nuclear secrecy and demand a transparent and accountable process. The people have a right to know!